Our Youth Ministry, also known as “Rooted”, is broken down into 2 groups: Junior High (6th-8th graders) and Senior High (9th-12th graders). Each group has its own activities and also share some like at our Family Events. 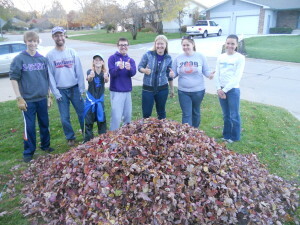 We are always inviting parents to chaperon events and we also invite our College Ministry called LMCS U @ KSU to help. There are many benefits to involving our college ministry in our youth ministry. 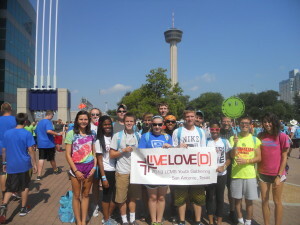 It not only helps our youth see that there is a group for them in college but it also helps our college students gain leadership skills and helps prepare them to take leadership roles at their home churches. Our youth are encouraged to participate in all aspects of church life at St. Luke’s. This includes but is not limited to: musical opportunities, ushering and greeting at services along with various volunteer opportunities. For our youth specifically we offer 3 involvement opportunities. Rooted Events are all about fun and followship! 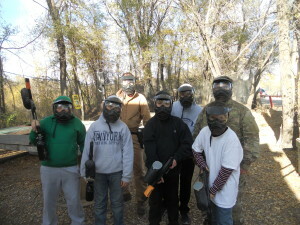 Outings are fun activities we do with the youth. These can take the form of attending a Christian concert, hosting a lock-in or taking a boating trip. To find out about upcoming activities please go to our Events page. Rooted Servant Events are just that, acts of service in our community and nation. Rooted Youth Ministry would like to serve senior members of our community by helping to complete exterior projects around their homes. We are seeking exterior projects that we will be able to complete in a couple of hours on a Saturday or Sunday this fall. 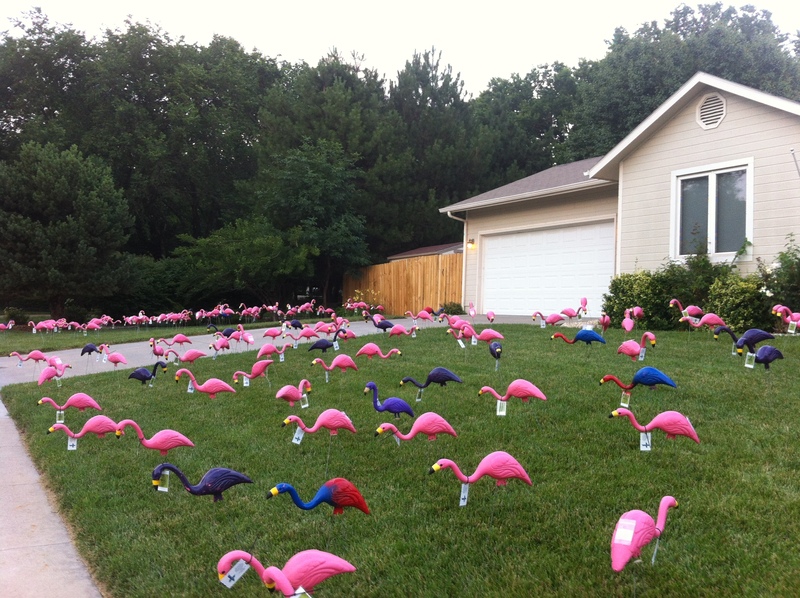 Some example projects include raking leaves, cleaning garages, trimming bushes, weeding flower beds and painting decks and porches. If you or someone you know could use some help please contact our Servant Event Sub-Chair. 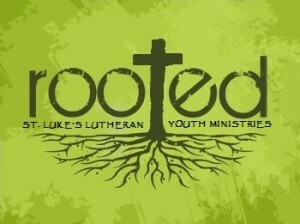 Rooted Gatherings are youth gatherings that take place all across the state and the nation. We have gatherings for both the Jr. High and Sr. High every year and we have a National Youth Gathering that happens every 3 years. LVR is held up in the mountains of Colorado with other LCMS youth from around the state of Kansas. You will have the opportunity to participate in Bible study, singing, personal devotion along with teambuilding, hiking, rock climbing, challenge courses, rappelling, horseback riding, and much, much more! This is for rising 9th graders to graduated 12th graders. For more information about LVR just follow this link. This is a weekend youth gathering for Sr High (9-12th graders). Youth will get to participate in workshops, and worship, service opportunities and games along with Bible Study with hundreds of other youth! For more information please follow this link. This is a 2 day & 1 night youth events for Jr High (6-8th graders). Youth will get to participate in worship, games and Bible Study with of other youth from around Kansas! For more information please follow this link. 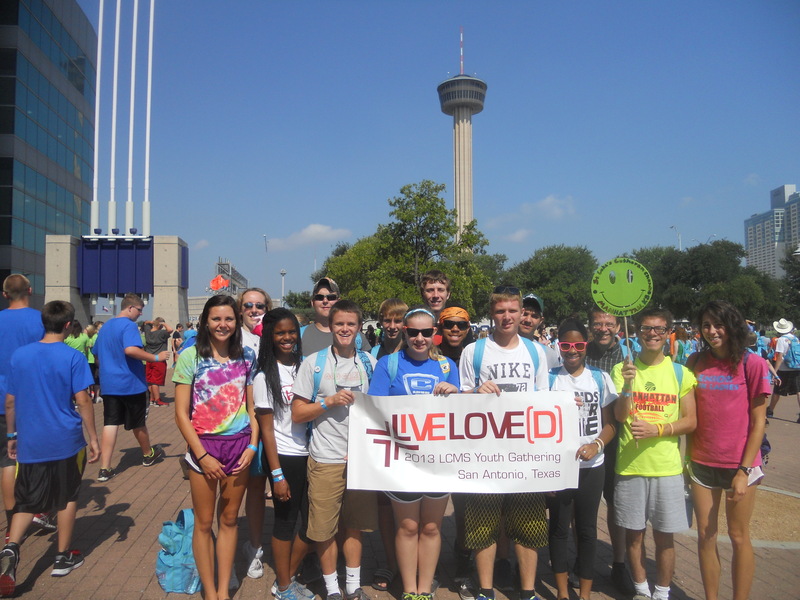 Held every 3 years, the LCMS Youth Gathering provides thousands of youth and adults the opportunity to come together as a community of God’s people to learn more about Jesus Christ, the Christian faith and their Lutheran identity. This is a week long gathering and during youth spend time in God’s word, worship, service and fellowship with others youth from across the nation. To learn more about NYG please follow this link. To learn about ways you can support our youth please click here. Most activity takes place on St. Luke’s campus located at 330 Sunset Ave. the Education Building is to the East by the parking lot on top of the hill. The Church Building is to the West at the corner of Sunset and Delaware.